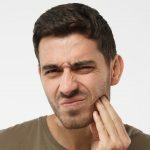 What causes teeth grinding at night? What are the effects of it? The exact cause of teeth grinding (bruxism) is still unclear. 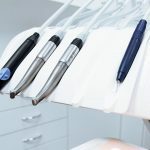 In case of children it often occurs at the time of changing teeth, when the position and size of the teeth are still different, however, it may occur if one has a cold or upper respiratory infections. In case of adults it is often the result of stress. Bruxism is extremely straining for the teeth and the surrounding tissues. It may cause the breaking of teeth and tooth fillings or the damage of the enamel.